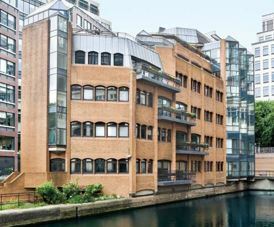 Park Place office rental is a modern looking building and is situated on the waterside near Canary Wharf tube station in London. The building is located near Heron quays DLR station and transport links to Central London are available via the Jubilee line. With 2000 - 30,000 square foot of office space to let, these managed offices to rent can be configured to suit ones preference which can include meeting room and reception incorporation within the space. Park Place offices are arranged over a number of floors and benefits from many features which include car parking facilities and good natural light. Local amenities such as cafes, restaurants and shops are plentiful within the Canary Wharf complex which is not far away.